Columbus’ beloved North Market is home to some of the city’s most creative food-makers. 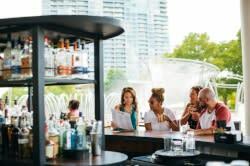 From ice cream to pho, fried chicken to fresh-baked pretzels, pierogis to Nepali dumplings, guests can enjoy tastes from around the world, all created right here in Columbus. The market is always growing and changing, and the next couple years will prove to be exciting ones! Let’s take a look at some of the new faces joining the market ranks. Very soon, you’ll be able to sit at the counter and slurp ramen at North Market! Owner and chef Seigo Nishimura hails from Tokyo, where he was a graduate of the Tokyo Sushi Academy. 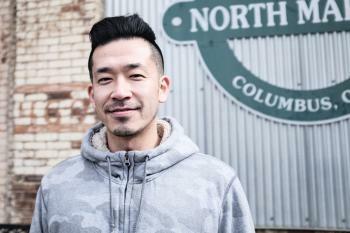 He’s worked his way through Michelin-star restaurants in New York City, and is now bringing Satori Ramen Bar to the North Market. 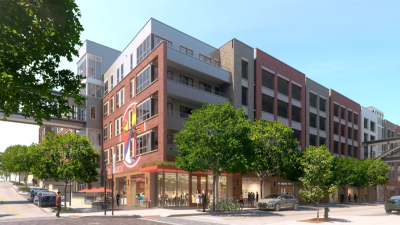 The ramen bar will be located near the southwest corner of the market, across from Omega Artisan Baking and Dos Hermanos. In addition to precisely crafted bowls of ramen, the eatery will feature rice-based entrees and small plates. They’ll even offer ramen kits that allow you to assemble your bowl at home! Hoyo’s Kitchen, a family-run, fast casual restaurant on the northeast side, will bring an authentic taste of Somali cuisine to the North Market this spring. “Hoyo” means “mother” in Somali, so Columbus diners at this eatery can expect to get a sense of the home-cooked meals served in Somalia. Operated by A.B. Hassan and his family, Hoyo’s will be located near the northeast corner of the market, across from Hubert’s and Little Eater. The stall will offer customizable bowls, wraps and salads with mixes of goat, chicken or beef suqaar, safari chicken, or vegetables, plus lentils, chickpeas, cabbage, or spinach. Guests can also sample sambusas (triangular fried pastries filled with meat, veggies, and spices), hot Somali tea, injera and other items. 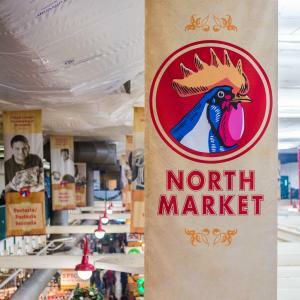 The biggest news about North Market… is that another North Market is coming! The second public market in central Ohio was announced recently for Dublin’s Bridge Park development. Located at 6736 Longshore Street, the new North Market will be home to 20 merchants, and include plenty of space for special events. The new market is slated to open in the spring of 2020.